We specialist in offering CNC Retrofit package for Vertical Lathe Turning, Milling, Boring, Grinding and Flame cutting machine. 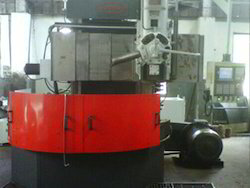 We also supply OEM replacement parts and reliable service for machine tools. Please approach for conultancy / quote. Experts keep working hard and provide CNC Machine Reconditioning Service. This offered reconditioning service is reliable and accessible from us as per specific need. Besides, we are able to offer this service in minimal time. To meet the various requirements of the customers, we are involved in providing CNC Machine Reconditioning Service. As a notable name of this business sector, we are massively indulged in offering toour patrons’ CNC Lathe Machine Reconditioning Service. Due to our devotion and specialization towards the quality, these services are enormously valued by our clients. Apart from this, these services are executed by nimble personnel as per the patrons’ demands. After years of load and running machine needs to be reconditioned to maintain productivity for further years without breakdown. 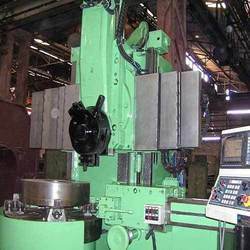 A good rebuilt machine tool can provide the solution to many of your company’s manufacturing needs at a fraction of the cost of a new machine. Many of the machines listed on our available machinery page can be rebuilt to like new condition with a one-year warranty. In line to offer CNC Machine Reconditioning Services to precious consumers, our firm has offered reconditioning services in easier way. Moreover to this, machining services are best in the market. Besides this, we follow best strategies for offering CNC service.